Why does it rain? How to make it rain? Have your kids ever asked these questions? 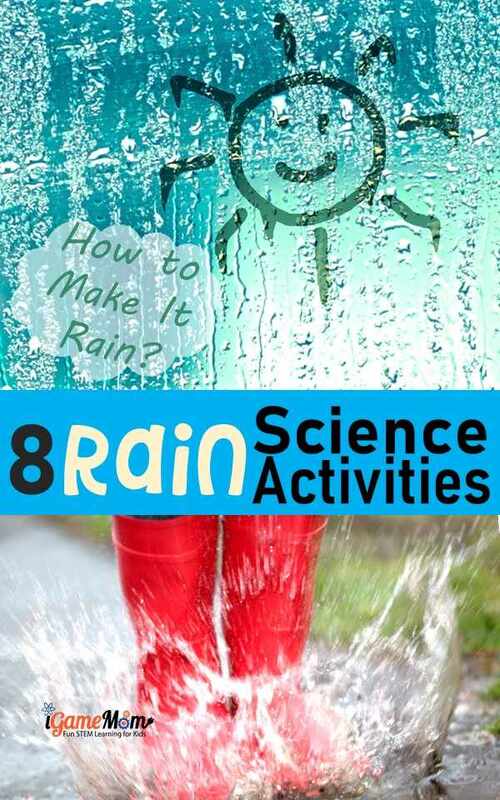 Here are fun science experiments for kids to learn about rain. 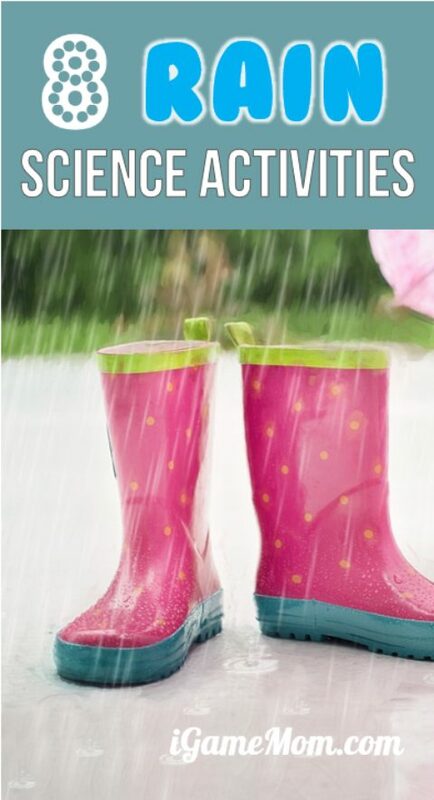 In addition to why and how, kids also learn how to measure the rain by making a rain gauge, and the effect of acid rain with easy science experiments. 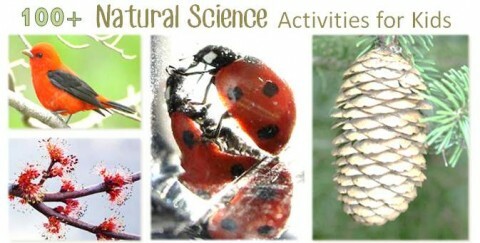 Besides science, they learn math, engineering, and technology, so these are perfect STEM projects for curious kids. First let’s explore how to make it rain. Once kids understand how rain is formed, they will understand why it rains. Before making the rain, we can start with Creating cloud in a jar with water and ice. Then we can make a rain in the jar: this is an activity need adult supervision, as kids will use hot water for the experiment. Make a rain gauge to measure how much rain you get. Test rain water pH level with a pH tape, and compare it to liquid of different sources, such as tap water, juice, lake water, pool water. We have heard acid rain a lot. What is acid rain? How to make acid rain? Acid rain is the result of rain water reacting with pollutants like nitrogen and sulfur in the air. Acid rain not only harms plants, animals, ecosystems and environment, but also causes damage to buildings and sculptures human build. What’s acid rain’s effect on ocean creature? This simple science experiment can answer the question. You can also set up an experiment to understand acid rain’s effect on buildings. This requires more work, and is more appropriate for older kids. Another experiment to answer the question about acid rain, what effect does acid rain has on plants? Seeing is believing. Let’s conduct an experiment to find out. Why do we see rainbows after rain? The rain causes many raindrops in the air. These little water droplets serve as prism. When sunlight hits them, lights of different wavelength are reflected differently, thus shown as rainbow. You can create your own rainbow with a prism to see the effect. This is a fun science experiment about rainbow. 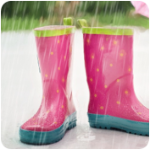 Do you have a fun science experiment about rain to share? 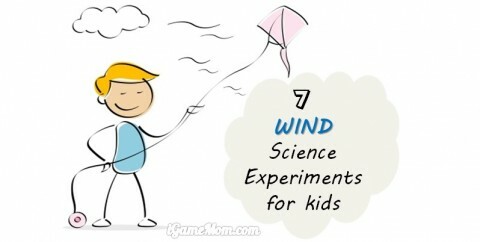 For more natural science activities for kids, check out 7 Wind Science Experiments for Kids to Learn Wind Power, and our collection of over 100 natural science activities for kids. I’ve never had fun with children in the rain. It’s very interesting and kids like it. We usually read a book or draw something. We like painting our palms or feet and the we strike them off on the paper. That sounds really fun, Mirela.